There are cases where the temperature is hot at the outside temperature such as the weather and it is lukewarm. 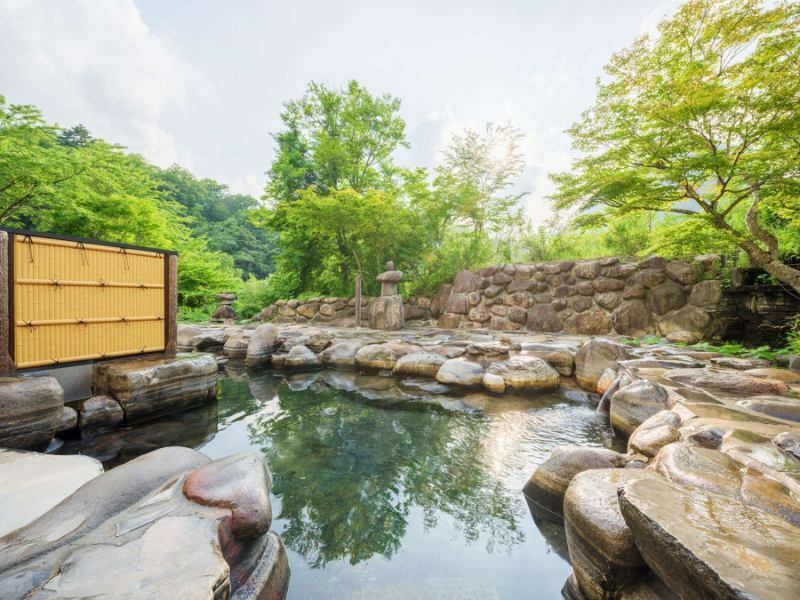 Three kinds of sources with different spring fountains, called "Bijin-no-yu"
"Bijin-no-yu", natural moisturizing ingredients, "metasilicic acid"
The hotel is Semi Onsen for its Bijin-no-yu"Semi Onsen - Semi Onsen. The reason that it contains abundantly "metasilicic acid" which is excellent in beautifying skin effect is the reason. Metasilicic acid is said to be a natural moisturizing ingredient, it is a component that makes the skin slippery.It makes it moist and fine fine skin. The pod contains a content of 100 mg or more. 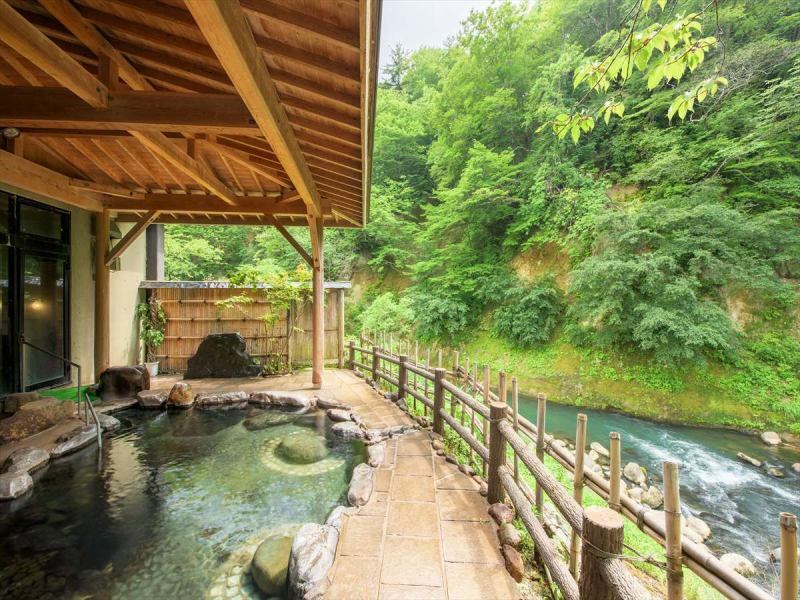 【Inner bath·Cyoju-no-yu】The hot springs flowing through the big rock are hot water of the touch which I regarded as the most "slippery" even at Semi Onsen. 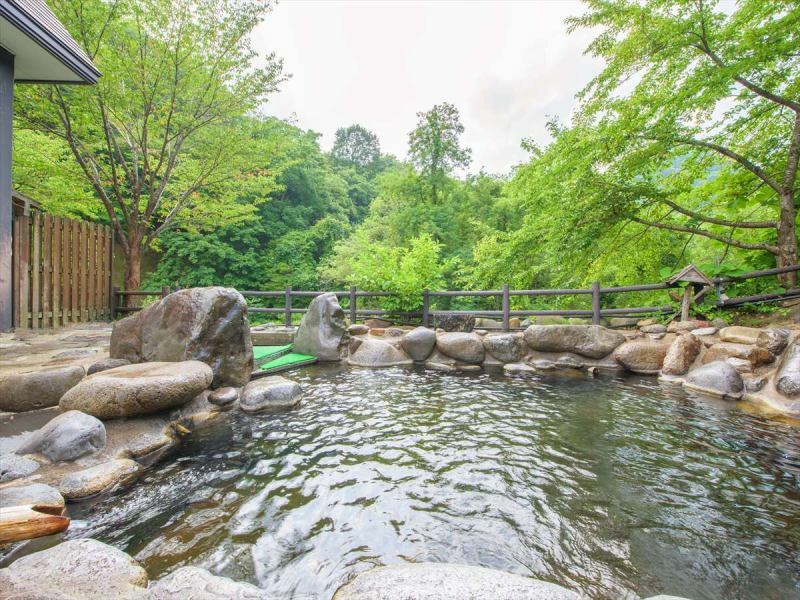 【Outdoor bath·Seseragi-no-yu】In addition to mountain stream BGM, it is cherry blossom in spring, autumn leaves in autumn, Yukimi in winter and open-air bath which can enjoy the nature of the four seasons.With plenty of hot water, you can relax and go. 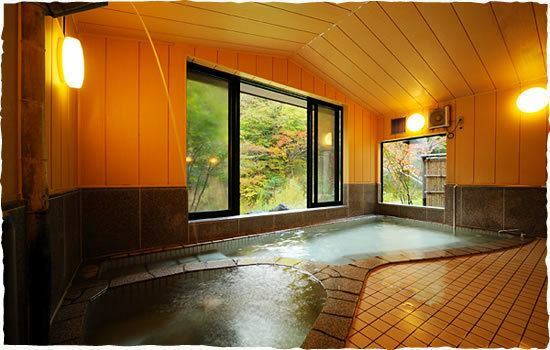 【Outdoor bath·Shiki-no-yu】In addition to mountain stream BGM, it is cherry blossom in spring, autumn leaves in autumn, Yukimi in winter and open-air bath which can enjoy the nature of the four seasons.Izumi quality is hot spring fountain quality, it gently warms up. Fountain quality It is a bathtub that can enjoy two different kinds of hot water with "hot bath" and "lukewarm water". Private bath recommended for couples and families. For guests only, you can use for free once for 45 minutes. 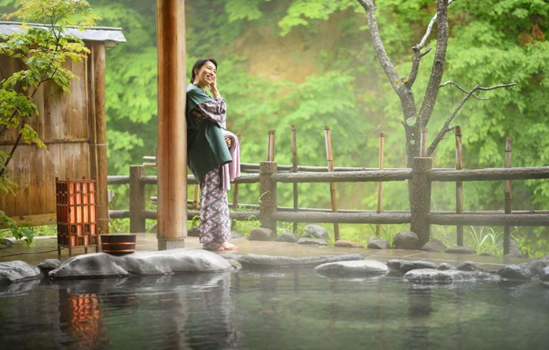 It is a large outdoor bath of man and woman mixed bath which can enjoy the blessing of hot water which continued from the Heian period. Relax and watch the scenery of Geto Gorge · · ·It is the real thrill of open-air bath. ※It is located before you climbed the staircase 55 steps.There is no elevator. ※The third Wednesday of every month is Fu 's day. The inside of parenthesis is the price of Fu's day. 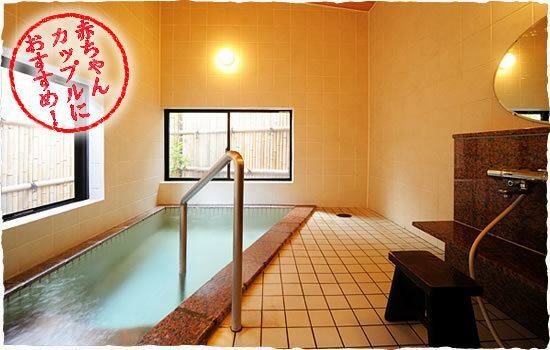 In the case of a day-trip hot spring, please bring towels. We sell it for rental bath towel 200 yen, name towel 350 yen.